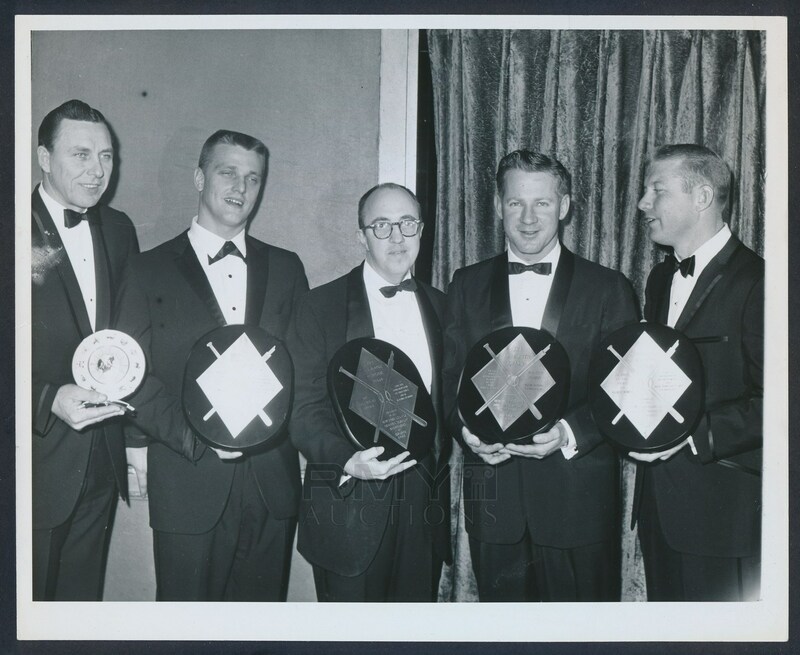 Original photograph from the early days of 1962 showing the three legendary members of the 1961 Yankees as they received their awards from the previous season. Photo includes the "M&M Boys" Mickey Mantle and Roger Maris along with ace Whitey Ford. Each is holding their hardware and flashing smiles and posing for famous photographer William C. Greene. 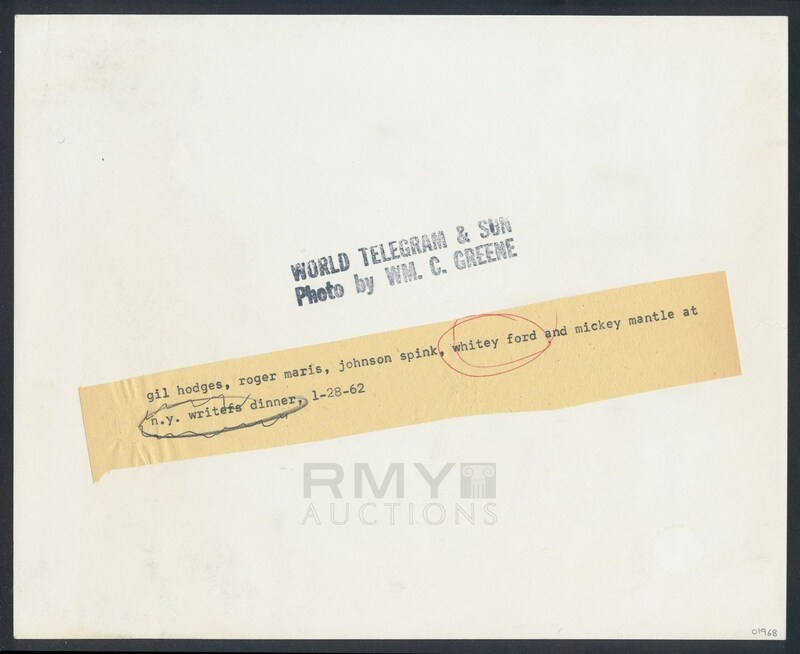 A fine image in beautiful condition that also includes Gil Hodges and J.G. Taylor Spink.